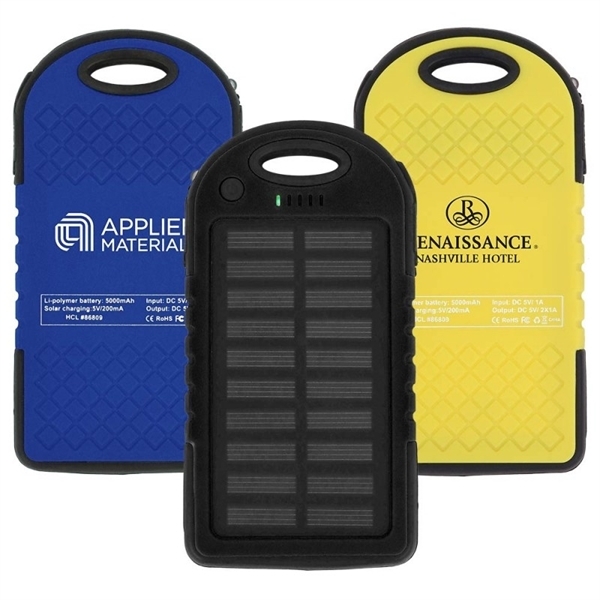 Rush Service : 1 business days - The Solar Power Bank indicates when bank is charging, on or needs charging. Photo voltaic cell charges at 5V/200MAH. USB charge ports (also on opposite side). Size: 3 " x 5 1/2 " x 1/2 "
Price Includes:one color one location imprint. 24 Hour Rush must be 1-color / 1 location only to qualify.